What Next For I Don’t Have The Map? I’ve thought about it a lot recently and the one thing I keep coming back to is what next or, more importantly, where next? Having spent six months of the last two years travelling abroad I can safely say that I’ve got the travel bug. I’ve been back at home for close to nine months, I’ve seen most of my friends, gone back to work and I’ve spent most of the time wondering why I came back. The problem was, as it has been both times; I ran out of money. This, along with inspiration from others along the way, has persuaded me that I’ve got to change it up, become more economical and adaptable to allow my travels to last longer. Previously family and friends have always asked if I’m going to work on my travels and I’ve always been very adamant that I’ve been going away to travel and not to work but that mindset has changed very dramatically over the past few months. What if I could work and travel? Well it’s possible, a lot of people do it, why shouldn’t I be able to? In an ideal world, I’d know exactly what I’d like to do and how I’d like to go about doing it. Going back over my train of thought through North America I have slowly begun to piece together a new dream, a bigger one than those I’d had before. It began with South America. I’ve never been to South America. As part of my plan to visit every continent by the time I’m 30 it seemed logical at the time but eventually my mind shifted as did my attitude to working abroad. The British traveler’s rite of passage has always seemed to be one of two things; a working holiday to Australia or living the high life in Bangkok. Well, why not try both? 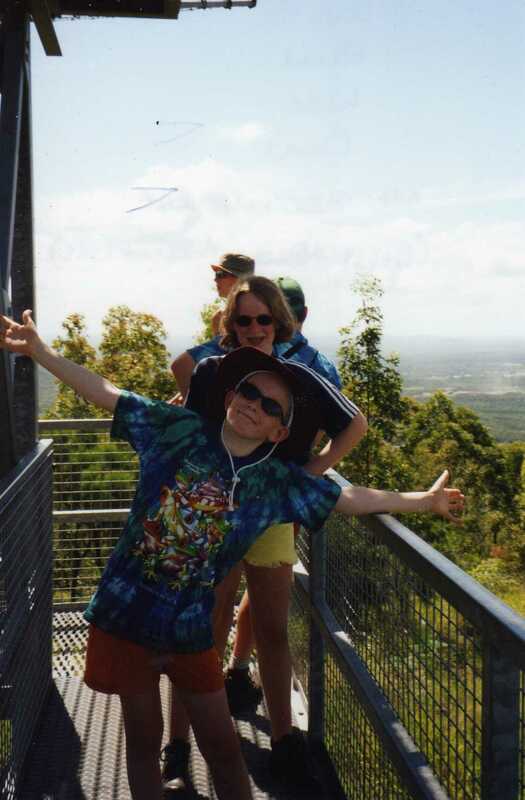 Way back in 2001 I was introduced to the idea of “long term” travel by a four week stint on Australia’s Queensland coast with my family. Four weeks is a long time for a twelve year old, okay? My aunt and uncle had embarked on a round the world trip and my parents had agreed that we would join them along the way. It was supposed to be the holiday of a lifetime, the kind of thing that people would only dream of and we were doing it, we did it. Whether or not that’s where I got my first inspiration to travel I couldn’t say but it certainly had a hand in it. I was twelve at the time, my memories are shrouded in haze and I’m not even sure if some of them are real or just imagined from photographs and video clips. I thought to myself, why not go back? Why not do it my way? Better even, why not try and do it a completely new way? The dream then, is to get a working visa and spend a year living and working in Australia. That doesn’t sound like much but as the seed spread roots in my mind it inevitably expanded. If I’m going to go all that way, I might as well see as much of that corner of the world as possible, right? So, from Australia, to touring New Zealand. How about a stay in Fiji? Island hop across Indonesia. Party hard in Bangkok like a proper British tourist. Spend some time acclimatizing to the culture shock of Southeast Asia before a city break in Tokyo. Explore the coastal cities of China. Hey, if I’m going to head up North why not look into working in Canada and get back to Vancouver for a prolonged stay with my friends away from home. Back to North America, huh? San Francisco isn’t all that far away, I could stop at Portland along the way. Why stop there? Why not continue South, what’s to stop me from going to South America on this trip after all? Nothing, my self excluded. Obviously, that’s a huge plan and I think a little on the optimistic side for one trip. So, keeping it real the guarantee is this; I’m going to Australia with a working visa. What happens from there, I leave to the future. What happens, happens. The big question that remains then, is when?